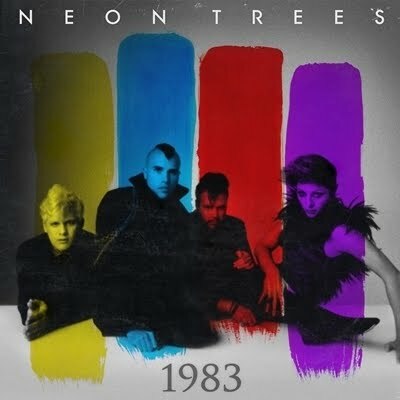 • Universal Music yesterday serviced ‘1983’ the brand new single from US outfit Neon Trees. Following on from the band’s local success with their single ‘Animal’, the new single comes JUST at the right time, with the band set to hit our shores on Wednesday for five days of promo. • Sony Music has announced that the Foo Fighter’s new album will be released in Australia on Friday April 08. The band has been teasing fans with snippets of the upcoming LP on their OFFICIAL WEBSITE, where punters who tune the radio dial to 101.5 will get to hear a slice of the second leaked tune. • Sting is hoping to bring a little sunshine into the world of some hard working volunteers on Monday night when, with the help of the Queensland Premier’s Office, he selects a number of people who went above and beyond the call of duty during Queensland’s recent floods crisis to be part of the audience for his ‘Symphonicities’ show at the Riverstage. “The spirit of community that has grown out of this devastation has been inspirational,” Sting said in a statement. The singer’s also contributed his single ‘Fields Of Gold to the Flood Relief compilation album. • Speaking of floods, today’s Joe Cocker concert at Rochford Wines in Melbourne’s Yarra Valley has been cancelled due to the city’s overnight deluge. More than 100mm of rain fell in a matter of hours in some parts of the state. 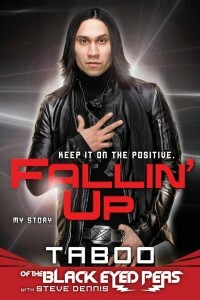 • Black Eyed Peas member Taboo will release his book ‘Fallin Up’ (pictured left) in the US this Tuesday. The book documents the performer’s rise from rags to riches and will cover the inner workings of the music business throughout the 1990s and 2000s. No word yet on an Australian release. • Scottish outfit Belle & Sebastian have added a second concert in Perth. The band adds Saturday March 19 at the Astor Theatre to their local run of shows. Tickets are on sale this Thursday. • On the US singles chart, Bruno Mars is still holding top spot with ‘Grenade’, but P!nk is practically ‘F**kin Perfect’ – sailing into the top ten at No.2. The Far East Movement also ‘Rocketeers’ into the top ten at No.9. • On the US albums chart, Amos Lee debuts in the No.1 position with his new album ‘Mission Bell’. It sold 40,000 copies in the week – unfortunately with the lowest ever one week sales of an album for a No.1 in the US. Iron And Wine are in at No.2, the Grammy compilation album is in at No.4, while Wisin & Yandel are in at No.8 with ‘Los Vaqueros: El Regreso’. • And on the subject of charts, our apologies for the delay in bringing back the Chart Watch segment for 2011. It is, however, completely out of our control. ARIA is apparently updating their website and the sales figures are therefore unavailable for the time being. This would have to be the first time that a P!nk single has performed (significantly) better in the US than in Australia….! …Perfect won’t get anywhere near #2 here. It’s a strong seller, but it was charting for too long and too highly before it was officially released as a single to reach that high now. still nothing on the new ingle from JLO. The single i dont think is even out on itunes in america. Also any word on Nicole Scherzinger’s new single that went out to radio last week in the UK?